Wyrzykowski Eye Surgery has been performing ophthalmic surgeries and providing post-operative care to patients since 1997. Conventional vision correction methods utilise glasses or contact lenses to correct a patient’s vision. 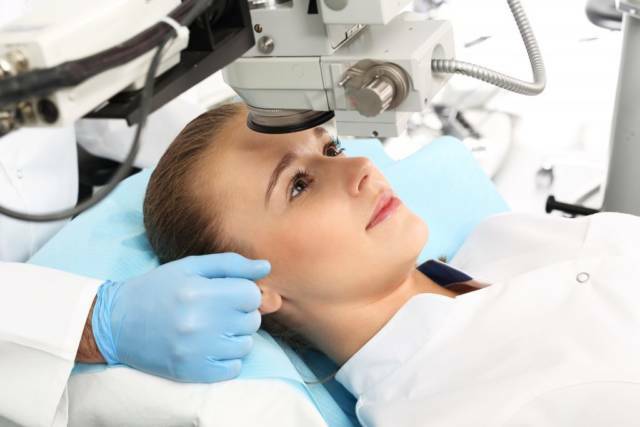 At Wyrzykowski Eye Surgery, we use the most modern methods of vision correction are excimer laser-assisted surgical procedures to ensure you leave our surgery with the best vision possible! This procedure is meant for patients not eligible for the laser vision correction. It takes to implant the corrective lens into the anterior or posterior eye chamber (anterior or posterior implantation). The lens works together with the patient’s natural lens. The procedure is performed under drop anaesthesia and takes no more than ten minutes. Cataract is a partial or complete clouding of the eye lens. For the time being no drug exists that would prevent or cure cataract. The only method of restoring correct vision is surgical cataract removal. Wyrzykowski Eye Surgery has been performing ophthalmic surgeries and providing post-operative care to patients since 1997. All refractive and cataract surgeries are performed by owner and eye disease specialist, Dr. Zbigniew Wyrzykowski. To schedule an appointment, please fill in the form. We look forward to answering your questions and giving you the best vision possible. Wyrażam zgodę na przetwarzanie danych osobowych w związku z wysłaniem zapytania poprzez formularz kontaktowy. Podanie danych jest dobrowolne ale niezbędne do przetworzenia zapytania. Zostałem pointormowany/a, że przysługuje mi prawo do dostępu do swoich danych, możliwości ich poprawienia oraz żądania zaprzestania ich przetwarzania. Administratorem danych jest Chirurgia Okulistyczna Wyrzykowski, ul. Milionowa 55, 93-113 Łódź, NIP: 726 142 87 98.